Splish splash I was taking a…nap? That’s what this pillow is all about. 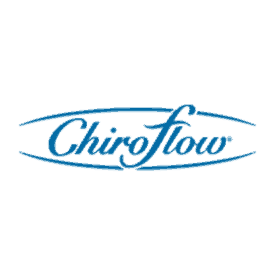 Instead of adding foam or feathers to your pillow, Chiroflow is adding water. 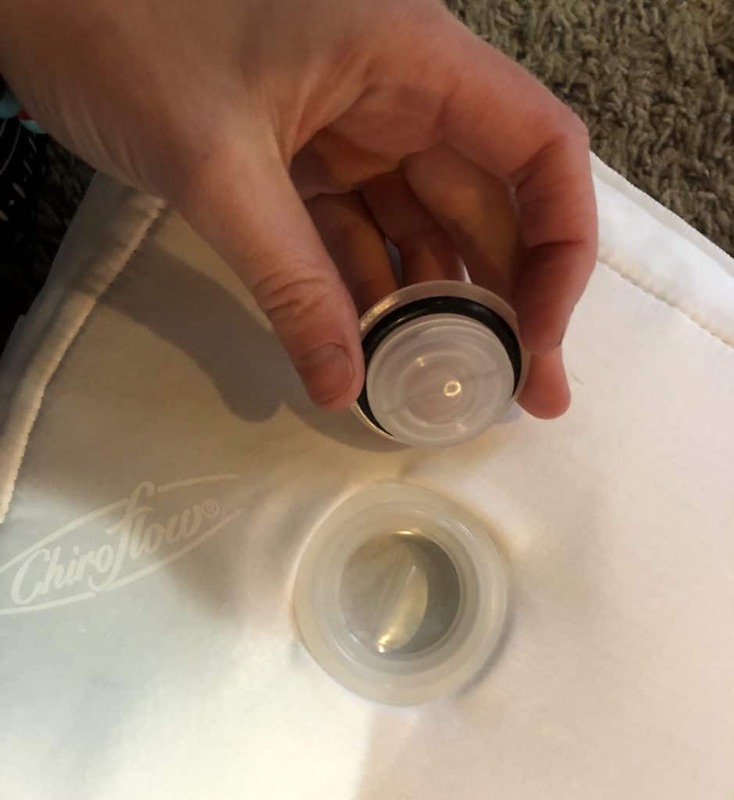 The Chiroflow Premium Water Pillow and its water-based technology is said to be the best on the market when it comes to relieving neck pain and promoting deep, restful sleep. 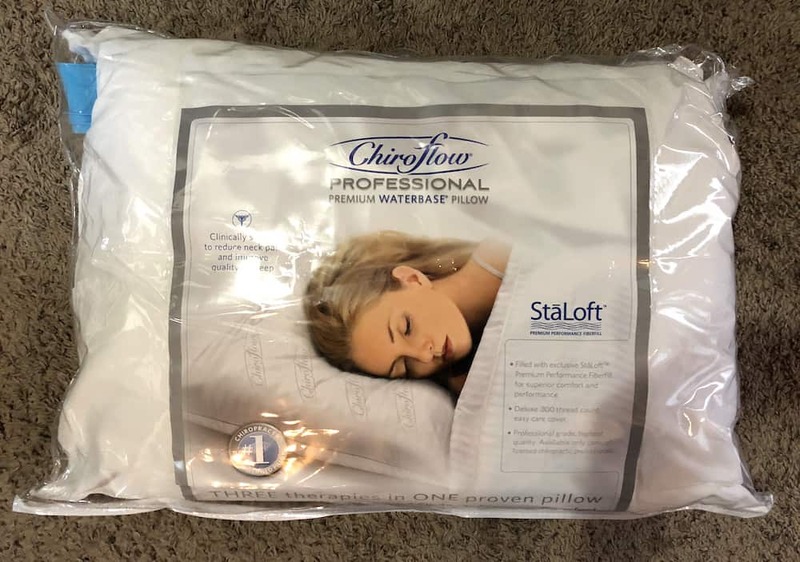 What’s really interesting about this pillow is Chiroflow’s website caters mainly to doctors; they cite their pillows as clinically proven to reduce neck pain and improve quality of sleep, and they mainly market to the medical industry. That said, you can easily purchase your own Chiroflow pillow on Amazon, cutting out the middleman (or shall we say “middle doctor”) to give you the chance to try it yourself without making a pit stop at the physician’s office. When memory foam, latex, and down don't quite do it for you, it might be time to try a water pillow! I was so curious to try this pillow out. As someone who deals with mild neck pain, along with always up for trying something new, I was excited to see how the water-fill compared against other mainstream pillows. Continue reading to hear how the sleep experience went, or scroll on down to the bottom for a quick summary to learn if this pillow is right for you. 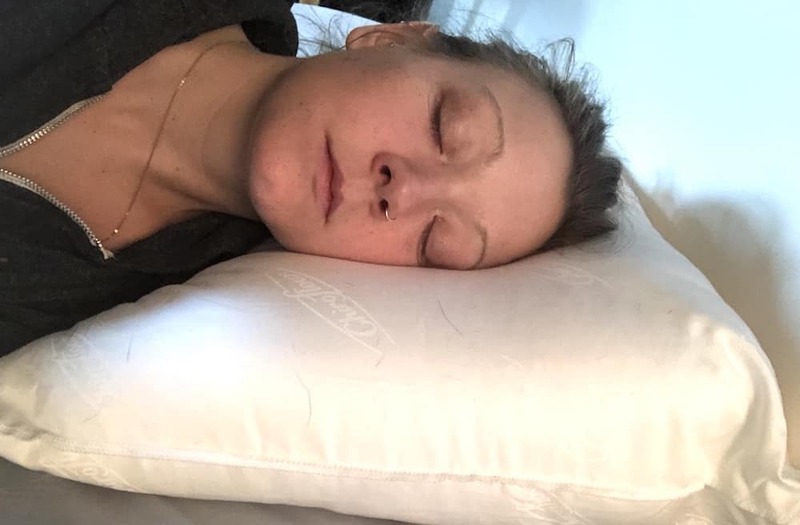 The Chiroflow Pillow’s unique design—aka, adding water to the filling— allows people to create the perfect shape for their pillow and find a desired level of comfort, whether soft, medium or firm. The waterbase filling is said to automatically adjust to your head movement throughout the night, ensuring that your body is properly supported and aligned, even when you move during sleep. The three main parts of the Chiroflow Waterbase Pillow include a cushion of hypoallergenic polyester fiber (called “StāLoft) which rests over the waterbase layer, a thermal insulator that surrounds the waterbase layer, and the waterbase itself—where the water goes. The pillow comes with a little blue nozzle to help you easily add water to the waterbase, putting in whatever amount equates to the firmness level you enjoy sleeping on. They suggest starting with using three quarts of water if you like soft pillows, four if you like medium firmness, and five if you like your pillows firm. It’s recommended you change the water once a year, so while it does take some time to set this pillow up, you won’t have to worry about changing the water for a long time. The Chiroflow outer case is a made with a Dacron stalest fiberfill and has a polyester 300 thread count. It’s by no means a super soft case, and the cover does feel dense—all of which apparently helps improves thermal insulation while preventing heat loss, so your pillow and your body stays cool throughout the night. Comes with a 30-day money back guarantee and three year warranty. The Chiroflow pillow arrived in a simple, thick plastic case with a zippered opening. 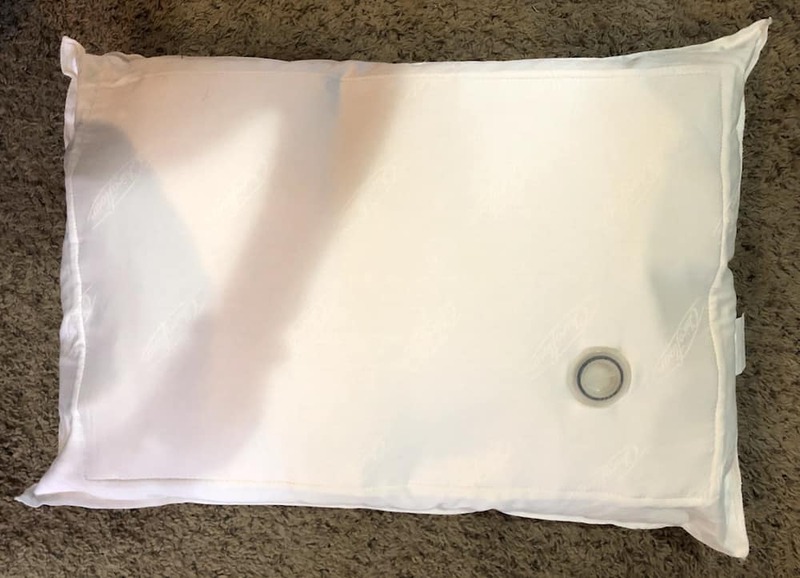 The pillow itself was protected in a plastic bag and one large sheet of reading material—pillow benefits on the front, and water filling instructions on the back. Step 4: Pour in the water! The instructions also explain how much water you should put in to find your level of firmness. I decided to try my pillow at medium firmness and added four quarts of water (which is equivalent to 16 cups.) Once I added the water, I went to steps 5-7, which are a little tricky, but important. Basically, I needed to keep the pillow upright and the cap off to push any air pockets out the pillow that entered while I added the water. 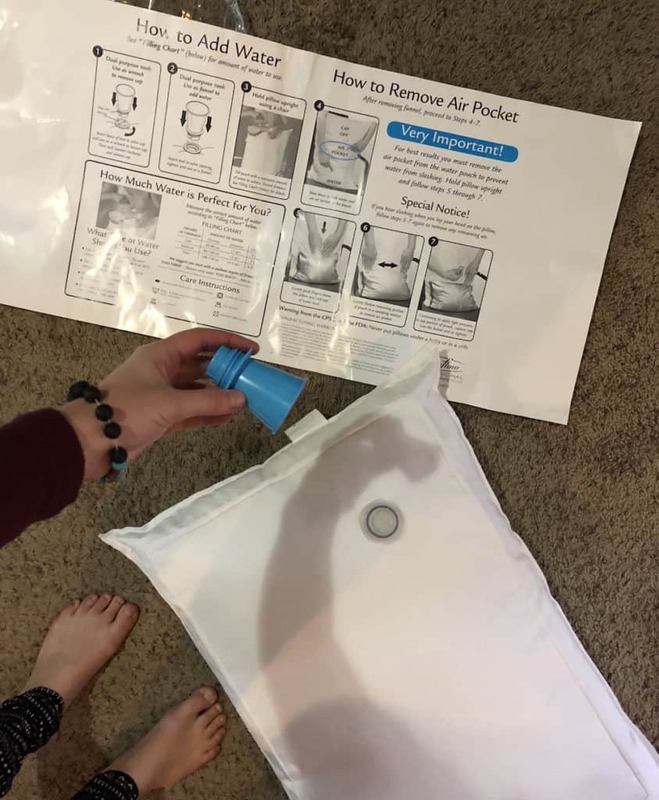 There are photos to help with the instructions, but I basically had to push down on the pillow until I felt the top of the water level, and then gently push in a sweeping motion to remove any air pockets. This could easily be a “me” thing, but I ended up spilling a little water while doing this. If you’re not that mechanically inclined, I would suggest filling this up in the bathtub or at least laying some towels down ahead of time. After I smoothed out all the air pockets (and wiped off some water…) I screwed the cap back on and voila…I had a pillow! The first thing I noticed was the noise. Removing the air pockets are supposed to stop the sloshing of water, but I still could hear the water moving around in the pillow. I wasn’t crazy about this, but still had an open mind as I took the pillow to bed. When I carried it over, I took note of a few things right away: the pillow is heavy when filled with water. Yet, once I put it on the bed, the sloshing stopped, and it ended up being pretty quiet. 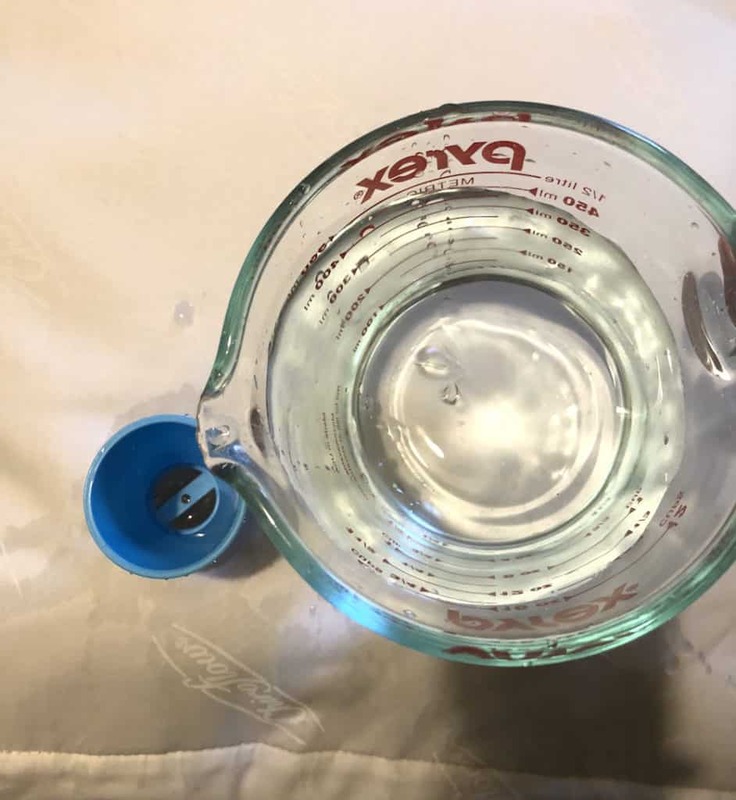 I also realized that four quarts of water was not enough—it still felt too soft— so I added another quart to make the pillow even more firm, since I like to sleep on my side. Finally! I was ready to sleep. I noticed how the pillow adapted really well to my movements, and wasn’t super noisy when I tossed and turned. (If anything, you hear the water moving slightly, but it’s a quite peaceful sound.) The pillow had the right amount of lift to give my neck and shoulders good support. I woke up without a stiff neck—which is rare for me!— and was happy to report no water had leaked, either. The pillow didn’t flatten in the middle of the night, nor did it get really hot. Overall, I was really pleased with my experience. I adjusted to this pillow right away, though the trick is to really make sure you add the right amount of water for you, or else the water technology becomes chore. This pillow is also fairly thick, so if you’re more petite, this might not be the best option. Perhaps what I found most interesting is while there is water inside, it didn’t feel like I was sleeping on something so radically different from other pillows. All of that is to say—no matter what is inside your pillow, if it’s designed well, you’ll probably sleep well. While these reviews seem to be contradictory, what is helpful is knowing there is a 30-day money back guarantee for most of Chiroflow’s pillow products. You’re ready to try something different and fun! 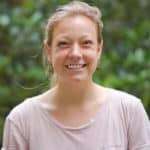 If you’ve experienced chronic pain or discomfort while sleeping, or you simply don’t sleep well, maybe memory foam, feather, down, and other commonly sought pillows simply aren’t for you. This could be the new solution you are looking for. You suffer from neck pain. Many users, patients, and clinicians cite how this pillow is designed to specifically relieve neck pain. If you fall into this category, it may be worth giving the Chiroflow a shot. You have time on your hands. This pillow does come with a little “assembly required.” You will need to add water yourself, so make sure you have the time (and patience) to do this before heading off to sleep. The benefit to this is you really can personalize the firmness of your pillow, which I think is worth the time. Ready to buy? Grab the pillow on Amazon!